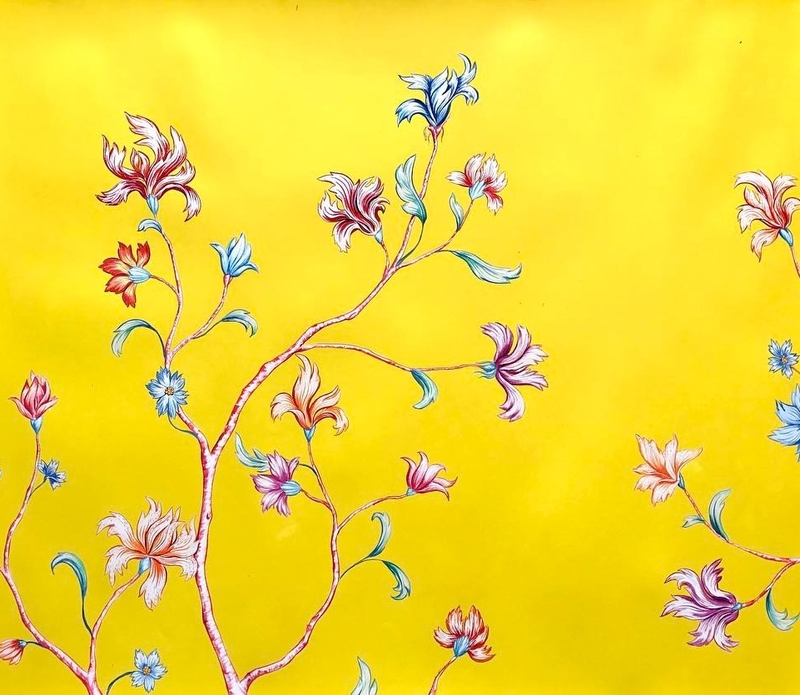 This piece was inspired by a trip to India. 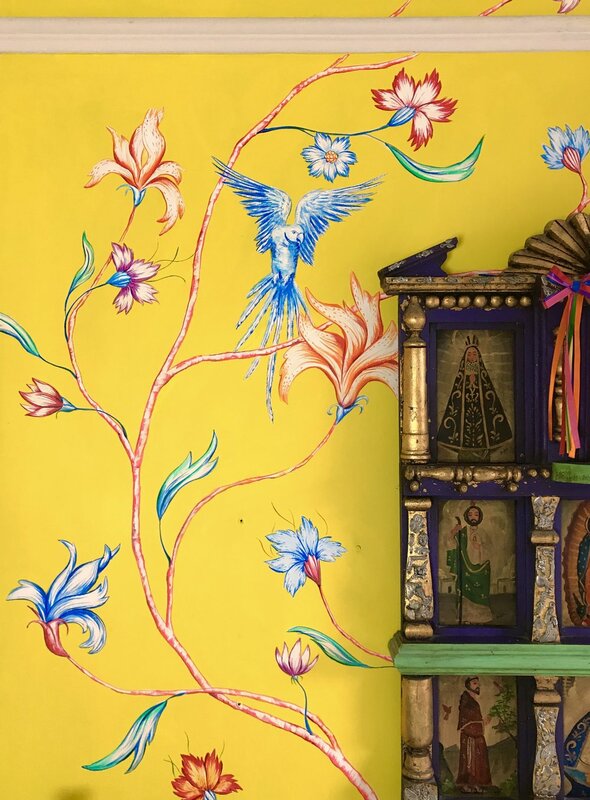 Painted for myself, I wanted to create something with daring, bold colours and and stylised flowers and birds, reminiscent of antique Indian textiles. The walls not only bring immense happiness to the room, but also serves as a showpiece as to what can be accomplished through daring colour choices.